thing from installing professional floor boxes to helping the Pastor and Music Minister decide on which microphones and loud speakers would be the best choice. With Grace Church International being a brand new building, there were lots of details to decide on. Their New House of Worship is such a great sound system because it is well equipped for all Special Event Productions including major church concerts. With the video projection system completed, Grace International Church is not only a beautiful House of Worship but a place where you can enjoy a comfortable seat and listen to a first class Church Sound System. Grace Church decided to go with a Professional Bose sound system including Bose MB 24 subwoofers (that went under the stage) and Professional Bose LT Loudspeakers (hung in a cluster). shown here before grills were put in place. Shown Above is the A/V control center at Grace Church International. 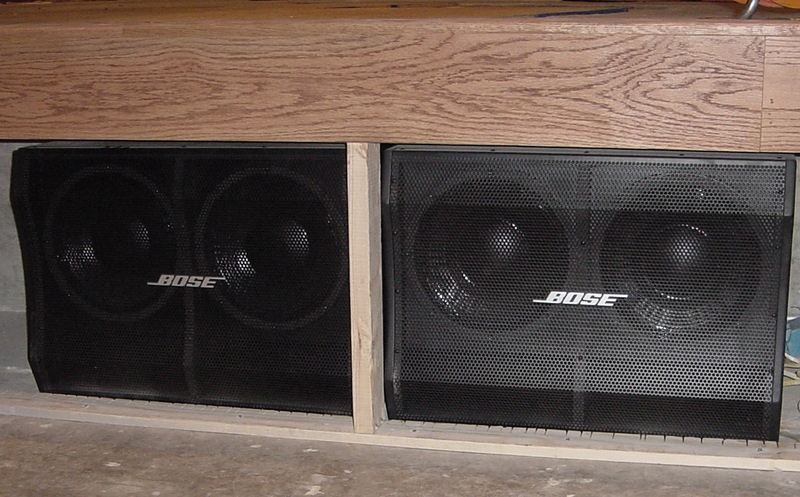 Bose 402-II floor monitors were chosen for their high fidelity and low profile. 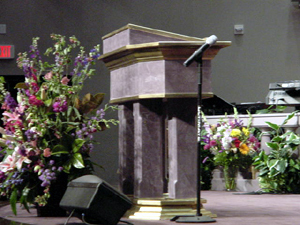 Sight lines are always very important for televised worship services. 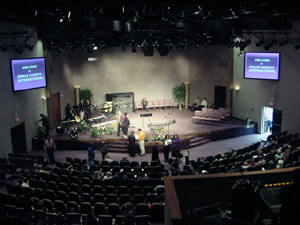 Above is a picture of the first worship service held at Grace Church International. This is truely one of the best sound systems in the State of Texas, and maybe even the country.